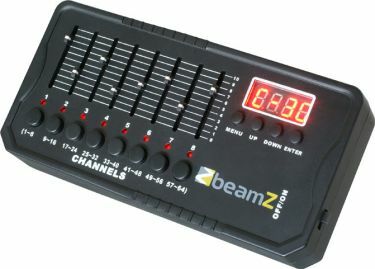 This mini DMX controller is a compact light-control-unit, specially designed for use anywhere. Because it is convenient to carry, and of its size, it is often used "on the road" . The built-in rechargeable 9V battery ensures you ± 6-8 hours pleasure with the streamlined controller. Suitable for indoor- and outdoor use during all kinds of parties.